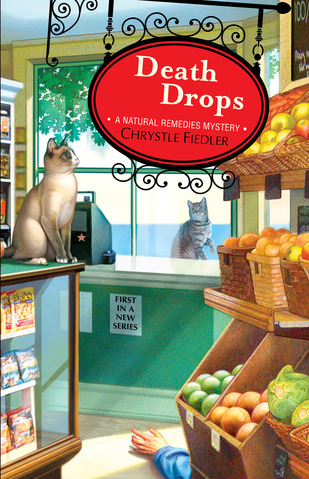 Our guest today is Chrystle Fiedler, the author of DEATH DROPS: A NATURAL REMEDIES MYSTERY (Gallery Books/Simon & Schuster), the non-fiction title THE COMPLETE IDIOT'S GUIDE TO NATURAL REMEDIES and THE COUNTRY ALMANAC OF HOME REMEDIES. Chrystle has also written about natural remedies for many national publications including Better Homes and Gardens, Natural Health, Vegetarian Times and Remedy. Reduces blood pressure by dilating blood vessels. Inhibits the clumping of blood platelets reducing the risk of blood clots and strokes. The key with chocolate that is good for you is not to overdo. Just eating an ounce or two several times a week is enough to reap dark chocolate’s benefits. You’ll find more natural cures like chocolate to improve health in my book DEATH DROPS: A NATURAL REMEDIES MYSTERY (Gallery Books/Simon and Schuster) which will be published on February 21st 2012. 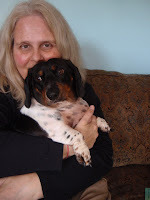 Please visit www.chrystlefiedler.com and www.killerhobbies.blogspot.com where I blog on Saturdays! 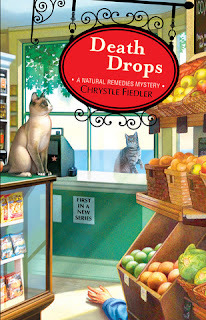 To have a chance at winning an autographed copy of DEATH DROPS: A NATURAL REMEDIES MYSTERY and a bag of Hershey’s Dark Chocolate Kisses, leave a comment below! Congratulations on the first book in your new mystery series coming out next week! I've always been a big fan of dark chocolate instead of milk chocolate. I love that in addition to tasting superb it's good for me. Congrats on the book! I've added it to my "to read" list. I love dark chocolate too (& love being able to justify consuming it). my current favorite is the walnut and salt dark chocolate bar from trader joes. i TRY to limit myself to a couple squares a day with coffee....thank you for visiting today and best best luck with the book! I have been a dark chocolate fan all my life - I used to break into mother's stash of bakers dark chocolate for a treat. Milk chocolate is just too sweet for me. Thanks for the fun post and congrats on the new series! I'm all for herbal and home remedies and can't wait to see how you work those into a mystery. I used to eat the chocolate drops from the Nestle's toll house bag! I need to get some! Thanks everyone for stopping by! Oh, right, an ounce or two several times a week. Right. Got it. Great cover :) I love natural remedies and I love that we can eat chocolate and it is GOOD for us :) Thanks for visiting the Pens! So good to have you stop by the Pens -- Congrats on the book, and yay for chocolate!!! I am very excited to read your book. If Juliet Blackwell says your book is good, then it totally must be because hers are awesome and I trust her judgement. I love anything to do with natural remedies! I could definitely use the health benefits of dark chocolate. Fortunately dark chocolate is the best kind, the darker the better, at least up to but not including baking chocolate, I do require a little bit of sugar. One of my favorite memories is visiting Oaxaca, Mexico and walking into all the little shops where they roasted the cacao beans. The aroma was like being wrapped in a chocolate blanket. Nothing better than a good book and chocolate. Wow, the book sounds deliciously fun. I am all for getting those flavinods working, along with my little grey cells. Love the image of a chocolate blanket! Kiki W is the winner of a copy of Death Drops and those Hershey kisses! Please send your address to chrystle@chrystlefiedler.com! Alas, dark chocolate... the only one that gives me migraines! I'm sure you book would not have the same effect, though! I can't wait to read your book, thanks for the chance!